This site lists 574 men named on Stockwell War Memorial in London SW9. It is run by Naomi Lourie Klein and includes information and images kindly donated by families and other interested parties. In 2010 Naomi Lourie Klein published a book, These Were Our Sons. A few copies are still available to order. 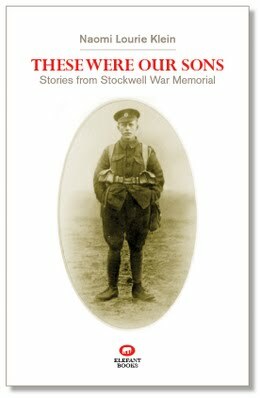 If you would like to contribute to the website, please email stockwellmemorialfriends@gmail.com. To join the Friends of Stockwell War Memorial and Gardens and to find out more about TfL’s traffic changes affecting the memorial please visit www.stockwellmemorialfriends.org.uk.